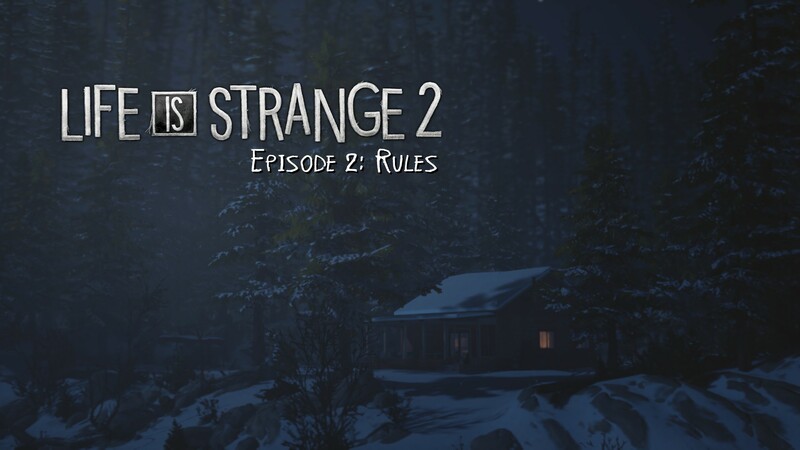 After a long wait, Life is Strange 2 Episode 2 is here! Life is Strange 2 is a choice based game where you follow the two brothers Sean and Daniel as they run away from the law. You will play as the big brother, Sean, and will have to set an example for your little brother; Daniel. After the brothers successfully ran away from a snitch, we were curious to see how their story continues. 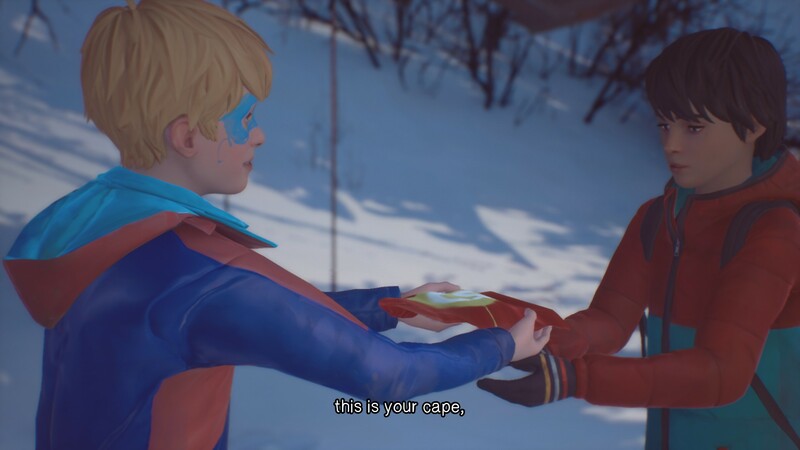 We were also pleased to see that Captain Spirit finally makes his appearance in Life is Strange 2. We already reviewed Life is Strange 2 Episode 1, check it out here. Sean and Daniel are two brothers who used to live with their father but had to run away after a bad run-in with a cop. 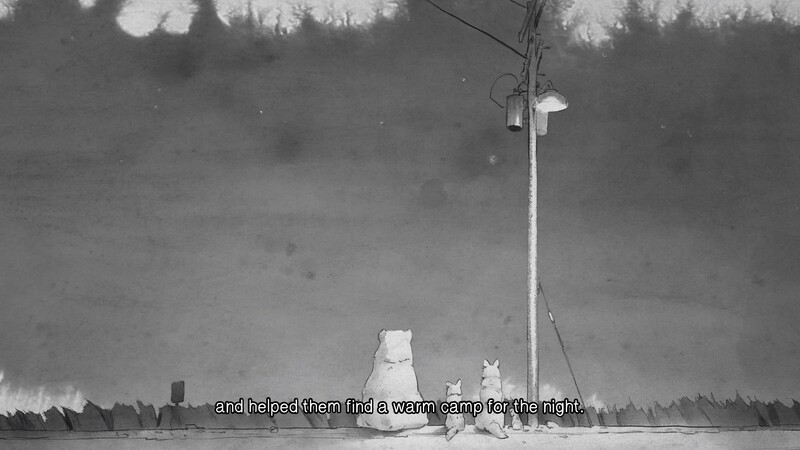 They have been on the road for a long time without much help from others. There was only one person that helped them out a lot. Sean had to take care of his brother all alone with only a limited time of money, no supplies, and no shelter. Of course, he has to do this while also setting the example to his brother. Since this game uses choices, our story might differ a bit from yours. After getting help from Brody, Daniel and Sean were back on their own, sort of at least Daniel managed to take the dog that was up for adoption and nicknamed her mushroom. So together with their new companion, they went back to travel after staying one night in the motel room on Brody’s expense. Daniel had the plan to go to Mexico, but of course, you can’t get there easily. So after traveling for a bit they stumbled upon an empty cabin and decided to stay there for a while. After Daniel saw that their dad died after getting shot by the officer, he had freaked out in the motel room, which is how Sean discovered Daniel had psychic powers. So to be safe Sean decided to make Daniel practice to keep his powers under control. The cabin in the middle of nowhere was the perfect spot for this. The training mostly consisted of lifting small to bigger items with the use of his powers. After a while, Daniel got pretty good and could lift up a large rock. However, Daniel got sick and was stuck with a nasty cough. Sean managed to scavenge food from dumpsters but cough medicine was something hard to get. So he decides to set out for Beaver Creek where their grandparents on their mother’s side live. Once they arrive, their grandparents, Claire and Stephen, are quite shocked to see them. However, once they hear Daniel coughing, they let them in to take care of him. After discussing, they allow Daniel and Sean to stay, at least until Daniel is healed. If you have played The Awesome Adventures of Captain Spirit, Beaver Creek might sound familiar to you. You might even recognize Claire. This is because Claire and Stephen are Chris’ neighbors. If you remember the end of Captain Spirit, then you might remember two people waving at Chris. Well depending on when you’ve played the game you already know that this Sean and Daniel. You get to see Chris back in his awesome Captain Spirit costume as he becomes friends with Daniel. 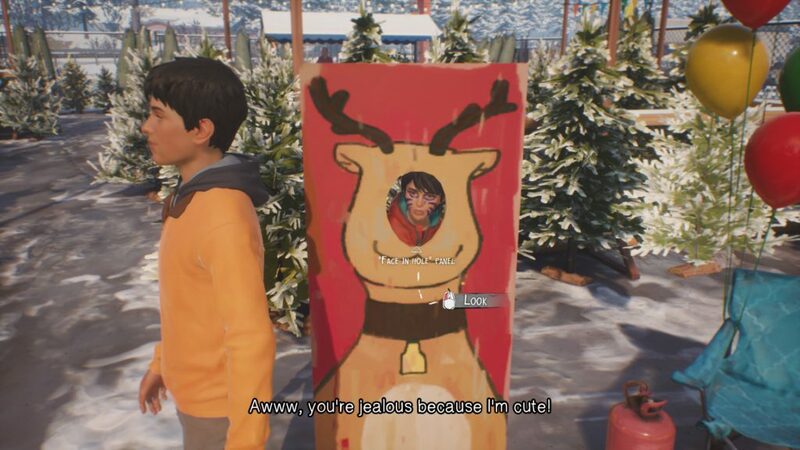 Life is Strange 2 Episode 2 has really great storytelling. You feel emotionally attached to the characters and since you choose your own answers you get even more immersed. There was a small time skip between episode 1 and 2 but you can read Sean’s journal to read what happened. The story progresses nicely and it’s really cool how they incorporated Captain Spirit into Life is Strange 2. Of course, this is still the same game so the graphics haven’t changed. There seem to be a few bugs in a few scenes, where you suddenly get a flash of another scene that clearly wasn’t meant to be there. There is also one strange bug of mushroom being inside while you did let her outside and she isn’t actually supposed to be there. Sometimes shading also seems to freak out a little bit, certainly in scenes where the camera is zooming in from afar. The music in Episode 2 is still as awesome as in Episode 1. The voice acting is also still really well done, with some new, and known characters being introduced in the mix. There is one moment where you can actually listen to an awesome song from a “street artist”, they incorporated that really well. Life is Strange 2 is an adventure game that makes you choose between different story options. Each option can cause the story to change. This is of course still the case for Episode 2. There is a small new part where you can ask Daniel to use his powers, in the training session. The best way to Life is Strange games is still to look at everything and read everything, this gives the best experience. Since then you know a lot more about the story and what is going on in the environment. You now also have to learn Daniel how to deal with his powers, while you, aka Sean, don’t have any. The Awesome Adventures of Captain Spirit now finally connects to Life is Strange 2. You see Chris back as he makes friends with Daniel. If you’re planning on playing Life is Strange 2 Episode 2 and haven’t played Captain Spirit, then it’s highly recommended that you do. It might be even good to replay it, certainly, if you didn’t play it on the same platform that you want to play Life is Strange 2 on, since the game will automatically look for your Captain Spirit save file. It is also nice to replay Captain Spirit since there are references to Life is Strange 2 that you might not have noticed before. Life is Strange 2 Episode 2 is emotional and has some great story-telling. You now get to learn more about Daniel’s mysterious powers. You also get to see Captain Spirit, aka Chris, back as the two games intertwine. You will have to make some hard choices and it will make you emotional which is incredible for a story-driven game. 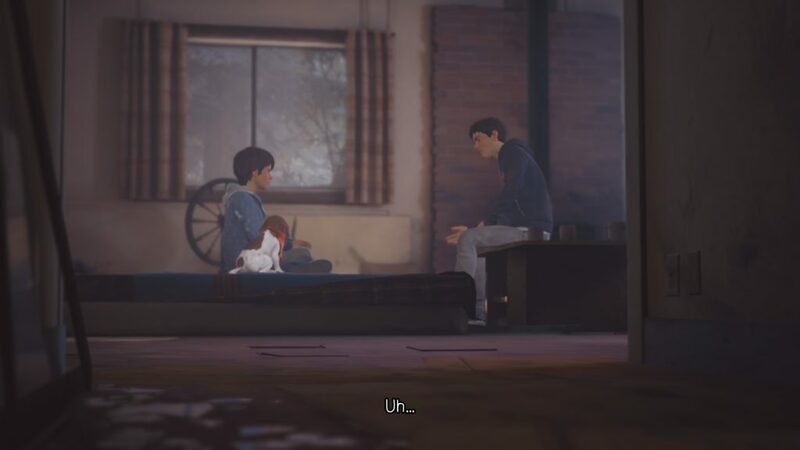 Life is Strange 2 Episode 2 will surely give you a lesson about humanity as you see the characters go through different problems. Life is Strange 2 is definitely recommended for people who love story-based games. It might be good to either buy the total pack or wait a bit since there seems to be an issue with Episode 2 not being sold separately.